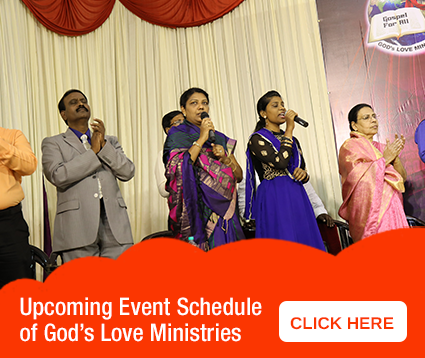 God's Love Ministries > Praise Reports > God will perform a miracle in His time. God will perform a miracle in His time. May the name of the Lord be glorified. After marriage, we did not have the gift of a child for nearly 27 years. 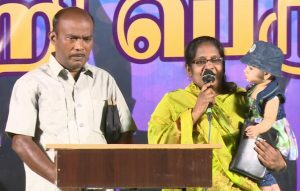 Three years back, we attended a meeting that was held at Kachanavilai, where the servant of God, Brother Stephen ministered. As Brother prayed for me, he said that God would do a miracle in my life, in such a manner that everyone would be surprised and be happy about it. Brother said, “The heart of the people will be enlightened”. And when the doctors tested me, they said everything was normal. To my surprise, God gave the fruit of my womb. Today all the people who see me are amazed; and they go around telling the miracle about Jesus. It was the grace of God that made this happen after many years of shame. A thousand tongues are not enough to praise Him. When I was alone I used to cry saying, “Lord I am like a parched and dry tree and how long should I live to hear this kind of hurting words. Whenever people inquired of me, about a child, my heart ached”. I used to feel ashamed of my situation and would not be able to eat in peace. My God, soon wiped away my tears. He changed my mockery. May the name of the Lord be honored. We thank God for this amazing blessing and also thank Brother Stephen and his family for their prayers.